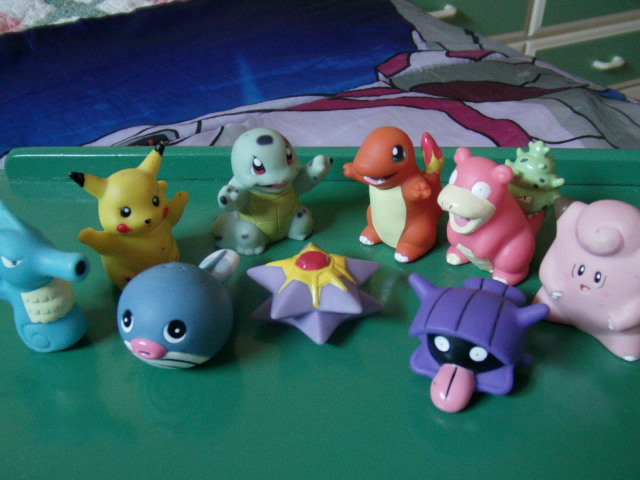 Hello all you wonderful Pokemon collectors! My name's Kasey, 17 years old (almost 18), starting my senior year n high school, and I'm new to this comm, making the typical welcome post :) What is there to say? Hmmm... Well, like most of you, I've been a fan a Pokemon since it first came out here in the US. I can remeber the Christmas when my brother and I got our first games, I got Blue and he got Red. I can also remember the first time I ever watched it, I was going to Preschool and the episode The Path to the Pokemon League was playing. From there it just evolved into collecting more of the games, some Pokemon cards, and little thing here and there (I was big into keychains and little knick-knacks). I've just recently decided to start collecting Pokemon items, and I don't really have a main focus for my "collection" yet! Along with my new collecting of Pokemon, I'm also big into collecting Sailor Moon items, and Monster High dolls, along with random items from different anime that I like :) To wraap this post up, I'll show you guys a picture of my favorite item of the very few I have! I hope to have a great time here, and I hope you'll all take me under your wing and guide me along the path of Pokemon collecting! 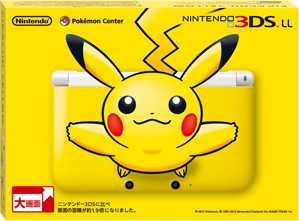 Hi everyone :D So, as of a few minutes ago I saw on various sites that a Pikachu-3DS LL is being released in Japan. Now, I am a collector of all sorts of things, and consoles/handhelds are one of those things. However, I do not live in Japan, I live in the US. I generally import japanese handhelds from Play-Asia, but I don't know if they are going to be getting any of these in or not. So, I was wondering if there is someone out there who could help me get one of these beautiful 3DS LLs to the US? Auction reminder plus new sales! Hi everyone! I'd originally planned to post my new sales on Saturday, but I realized that I've got other plans for tomorrow morning, so I'm posting them a day early. Also, I'd like to remind those planning to bid on my bell plush, stamps, and other items that they've got just about 5 hours left! Naturally, standard community anti-sniping rules apply. Please click below to go back to the auctions! If you're done looking at the auctions, I've got some new sales to share too! It's mostly items from my collections, including most of my items of Vanillite and Azelf, and a few things from other Pokemon I still collect. There are also a few Pokemon shirts (including one tournament winner shirt up for offer) and I'm taking requests for Pokemon furikake packs. You can find that here! On a different note, I also have a few more things I need to get rid of. Hey so I just noticed that the Pokemon Black and White 2 guides are pre-orderable now (at least on Amazon.com, but I'm sure other places have them available too). The regular edition will be a two-parter like last time, so the Pokedex will be in vol 2 by the looks of it. Hmmm it appears that the CE doesn't come with a PokeDex like the last one, although it might just not be detailed. The only exclusive listed (via Amazon) is "The Collector’s Edition is hardcover and individually numbered, comes with a removable lenticular and four-color end sheets, and contains special Collector’s Edition-exclusive content: an interview with one of the members of the company behind the design of the games, Junichi Masuda of GAME FREAK, as well as unique art assets." It's a lot of 56 Latin American postcards from 1999, most of them in near mint condition, some with slightly damaged corners, but barely noticeable. They include interesting things like Gym Leader's teams in postcard form, including Lt. Surge and Giovanni! Hi everyone, just a quick custom plush for auction today! Also, I'm taking human plush commissions! Also, I am calling out ZORUAPLUSH! You need to contact me ASAP, I have sent you a few PMs and I've yet to hear from you or see the money for your other payments. You have 24 hours to contact me before I leave negative feedback. I never got a tracking # or anything. firstly i'm looking for a pokemon themed 2013 calendar. i think a few are around, they can be in whatever language. just name your price! i'm in canada. 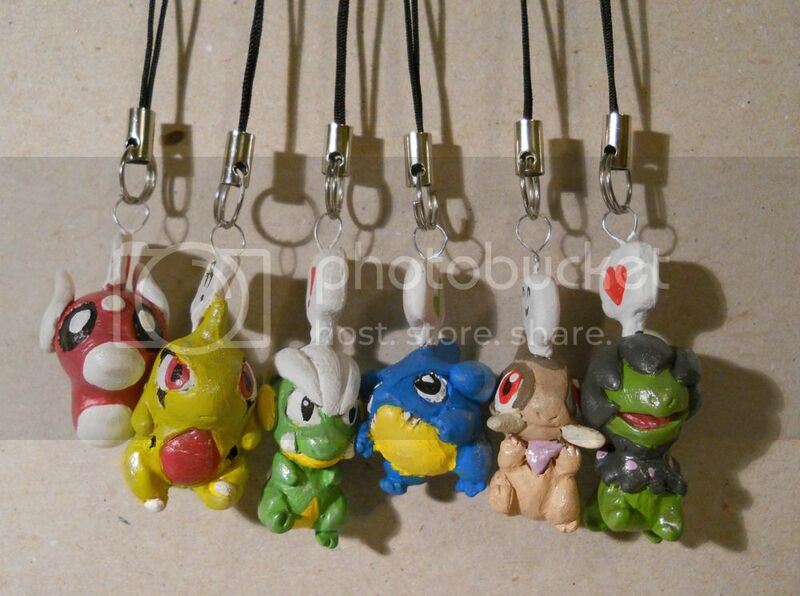 Just a reminder that my auctions for shiny dragon pokemon charms and custom slots end in less than 2 hours. Dratini, Bagon and Axew still have no bids, and have had their starting bids lowered. Most of the custom slots are still at starting bid, and this will be the last chance to commission me for a while as school starts up again in early September. So bid while you can! Click either pic to go to the auction page! Without further ado, I present Issue #2! Long time, no plush! I've had these and many other plush ideas swarming around my head, and because I'm in need of cash, I'm making them a reality! Up for auction today are are two Unova BUG ZAPPERS- not the kind that zap bugs (well, they might! 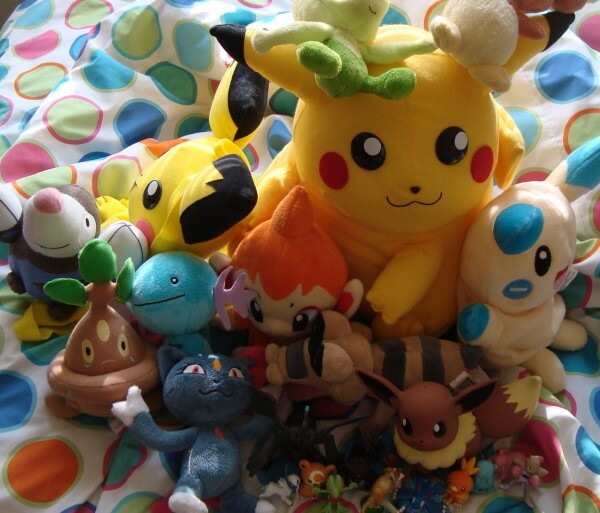 ), but rather bugs that will do the zapping themselves: a minky Pokemon Time Joltik and a Genesect bell plush! In addition to this, I'm opening up two bell plush commission slots if you would like a bell plush of your own choosing! As always, I will gladly combine any items listed in my regular sales (now with leftovers from my Japan trip) with any of the above items! Hello everyone!~ I hope your summer is going wonderfully! So today I bring you some pictures of my recent gets (some are quite adorable! <3), a few questions, and a very small wants post. :) So lets start out with my gets at this first cut! Beware very image heavy (about 30) with some pretty big images. Who is this mysterious person that hasn't been on in ages? I know there is a lot more, but, that's what I've got off the top of my head! After only 3 days our stuff is already here O:. Please try to pay within 3 days,I always get touchy when I haven't paid for shipping yet and it arrives XD;. Send all payments to Sockmehard(at)hotmail.com with your username and what you won in the title/description. Hey guys! I'm not in a position to make a proper sales post any time soon, but I do have one item I'd like to let go to someone who wants it more than I do! Ok so I'm finally posting this. D: I've been putting it off since it's a bit of work to get these up there. All stamps are in great condition, stamp pad is still fresh and working!!! DO NOT POST UNTIL ALL ITEMS ARE UP!!!!!!! DONE! YOU CAN POST NOW!! Rare find? I'm wondering of value or even authenticity. A guy from a facebook group is trying to sell me this Jigglypuff C-watch. I've never seen a Jigglypuff one before (only Pikachu, Charmander, Squirtle). I am wondering how I should even start offering or whether it is even authentic. Any tips would be appreciated :) thanks! I finally got my hands on some Dragons Exalted booster packs! 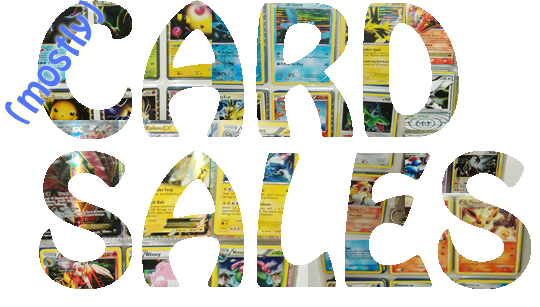 I've updated my shop with them, as well as a TON of cards from the earlier Black and White sets, a lot of reverse-holographic trainer cards, and many others. Even if you've looked through my sales post before it is worth looking again! Any traders? I have a lot of other cards I"m looking for as well, here in my wants list. Edit: these do not necessarily need to be first edition! As long as they are in relatively good shape, holographic, and not from base set 2!